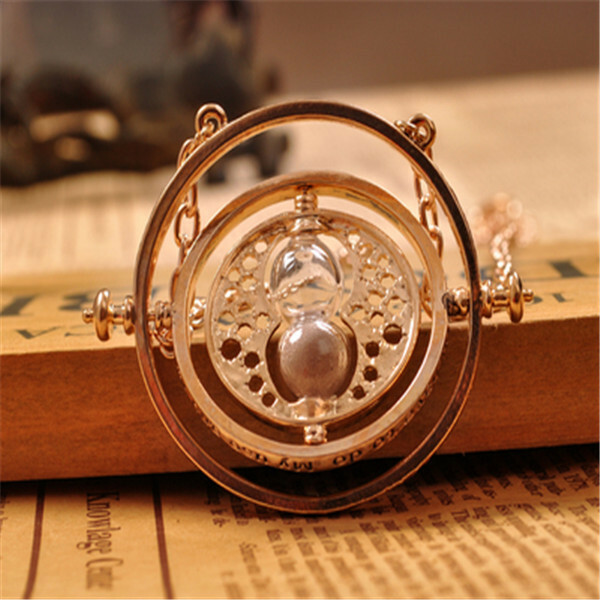 An authentic recreation of Hermione's Time-Turner featured in the movie Harry Potter and the Prisoner of Azkaban. The Time-Turner is centered with a working miniature hourglass and its inner rings rotate. Total Length: 64(±0.5) cm /25"
Diameter: 4 cm / 1.57"
Size for manual measurement, there may be a 0 to 5 mm error, belongs to the normal phenomenon.